From Prince George in Northern BC, the Alaska Highway (Highway 97) stretches north to Watson Lake and the British Columbia-Yukon border, including Dawson Creek, Fort Nelson, and Monkman, Stone Mountain, Muncho Lake, and Liard River Hotsprings Provincial Parks. When people think of the Rocky Mountains, they usually think of Banff and Jasper National Parks on the Alberta side of the British Columbia-Alberta border. It doesn’t register that a major portion of these mountains spill across the Alberta border, cutting a vast swath across the northern half of British Columbia. The Rocky Mountains and their foothills dominate the Northeast, comprising roughly 20 million acres (8 million ha). There are no roads that cross the range north of Pine Pass (between Mackenzie and Chetwynd) until the Yukon border. The Northern Rocky Mountains are the largest roadless landscape south of the 60th parallel, as well as one of the richest and most varied intact large wildlife ecosystems remaining in North America. 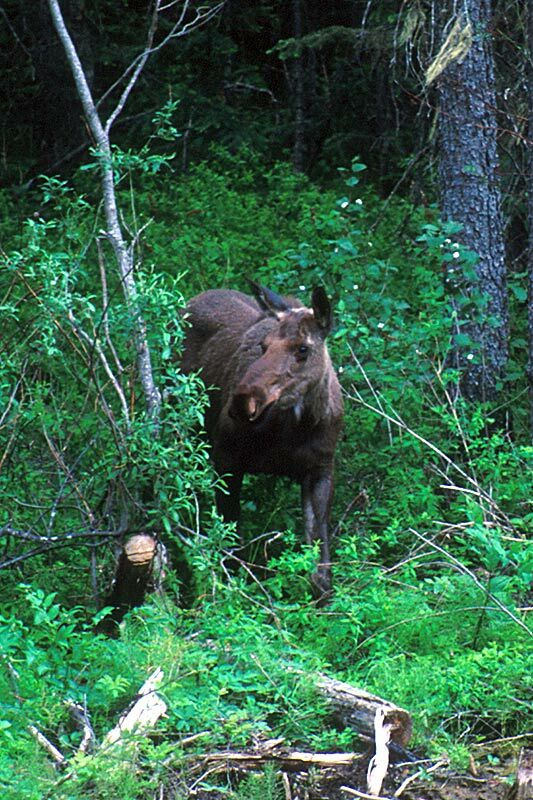 The area’s wildlife population is so prolific that this portion of the Northern Rockies has been dubbed the Serengeti of North America. 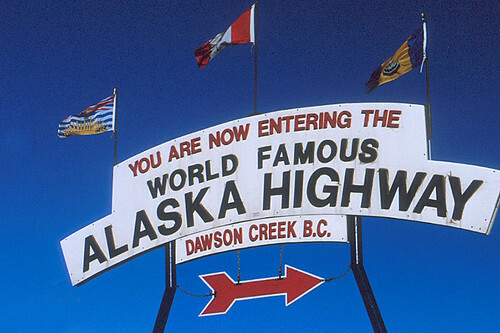 In the vast, highwayless gulf between the Alaska Highway, which begins in Dawson Creek at Milepost 0, and Hwy 37 to the west is an area that at its most expansive is 400 miles (700 km) wide and 750 miles (1200 km) long. To put that in perspective, you could drop Switzerland into this region and not have road access. This is big country. Most people don’t venture more than a few miles off paved road. Some never make it off pavement at all, but if you do, a world of recreational opportunities awaits, whether you’re a weekend adventurer or a trail-hardened backpacker. People who go out unprepared into this wilderness, however, don’t come back. Ignorance and arrogance in the face of nature are the surest ways of getting yourself killed. Come prepared, and enjoy the rich and varied wilderness, a place where people are scarce, but the exploits plentiful. 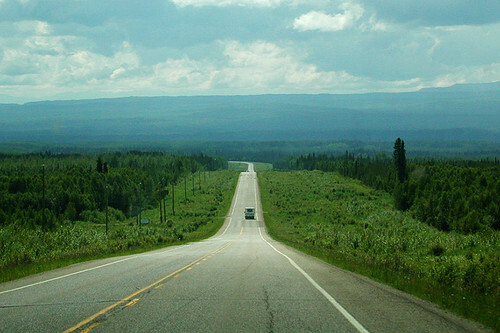 Location: The Alaska Highway (Highway 97) in Northern British Columbia stretches from Prince George north to Watson Lake and the British Columbia-Yukon border. 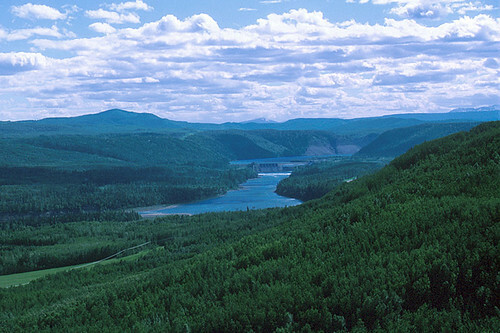 Highway 97 (John Hart Highway) links Prince George with Dawson Creek (about 250 miles/400 km); along the way, travellers may pursue a possible side trip on Highway 29 between Tumbler Ridge and Fort St. John, via Chetwynd. 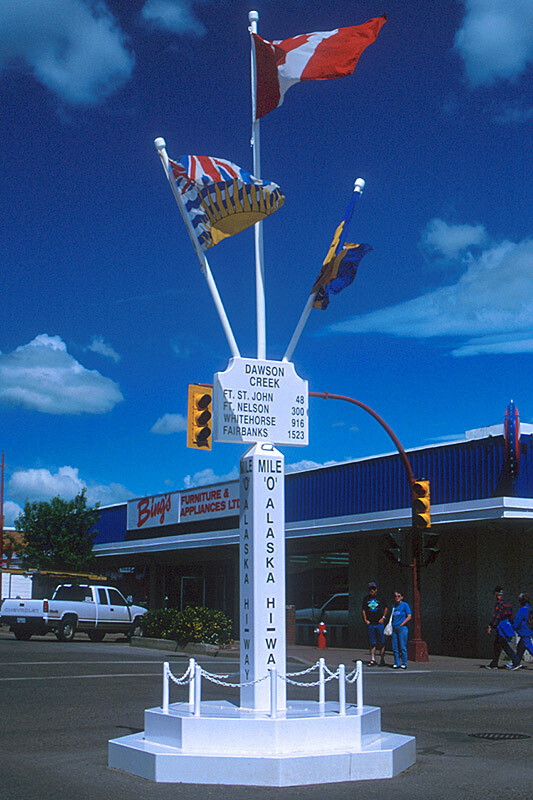 From Dawson Creek, Mile 0 on the Alaska Highway, Highway 97 winds north and then northwest to Watson Lake on the British Columbia-Yukon border, via Fort St. John and Fort Nelson, a distance of just over 700 miles (1140 km). These are the only highways that run through the Northeast, which remains mostly undeveloped and sparsely populated. Prince George stands as the south-central gateway for the Northeast, at the junction of Highways 97 and 16. As the largest city in the Interior, it is well served by air, rail, and bus. BC Rail’s Cariboo Limited makes daily runs between North Vancouver and Prince George. 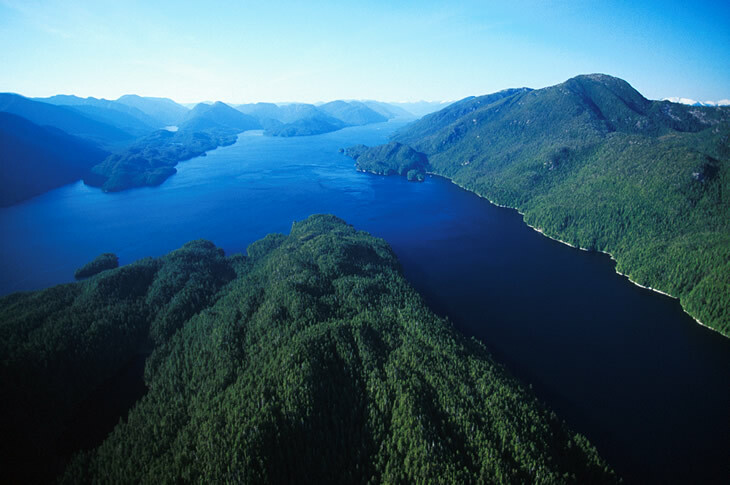 Via Rail provides service from Jasper and Prince Rupert. 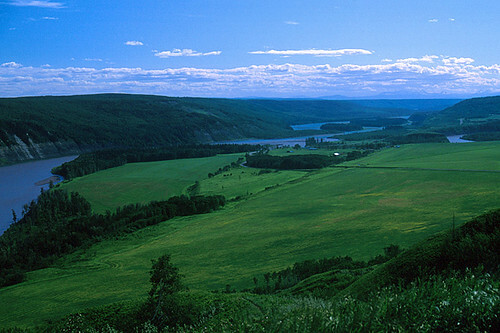 Located where the Nechako River and the mighty Fraser River converge, and less than 100 km from the province’s geographical centre, the area around Prince George is the traditional territory of the Carrier Sekani First Nations people, who made their livelihood off the bountiful rivers, lakes and forests of the region. The community of McLeod Lake was the first European settlement west of the Rockies, and is the longest continuously occupied European settlement in British Columbia. The first fur-trading post west of the Rockies, the Trout Lake Fort, was established here by the explorer Simon Fraser in 1805. 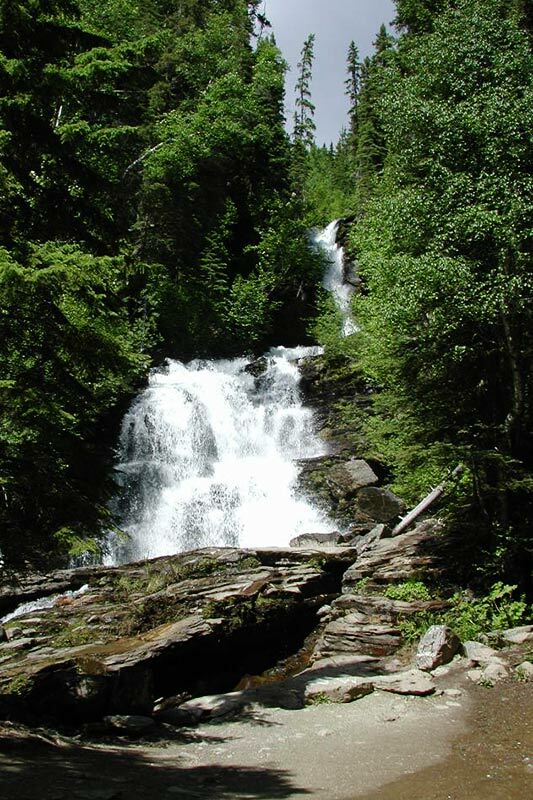 Located off the Alaska Highway between McLeod Lake and Mackenzie, the small villages of Manson Creek and Germansen Landing have a history routed in mining. The still-active gold placer mining operations provide a fascinating insight into the history of remote Manson Creek and the surrounding area, reminiscent of early 19th-century British Columbia. 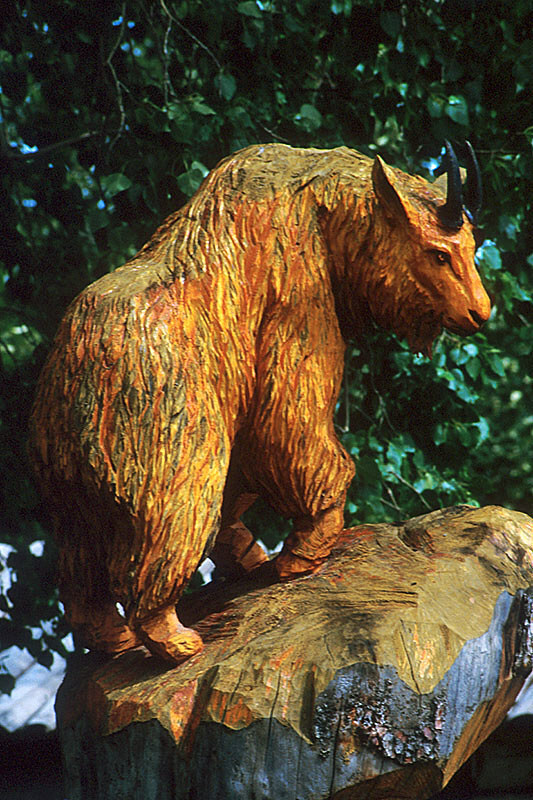 In 1793, the famous explorer Alexander Mackenzie camped near what is now a beautiful community bearing his name. 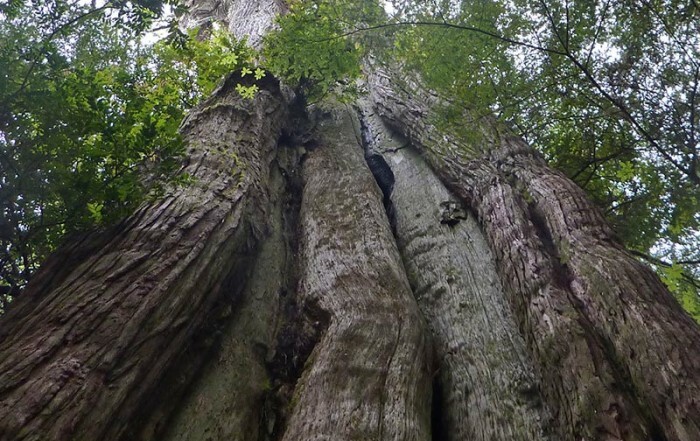 Mackenzie the town carries forward not only the name but also Alexander Mackenzie’s spirit of adventure and discovery. The district of Mackenzie was virtually carved out of the wilderness in the mid 1960s to service large pulp and lumber manufacturing facilities. Nestled in an ancient floodplain in the picturesque northern foothills of the Canadian Rocky Mountains, Chetwynd was known as Little Prairie when the first European settlers arrived in the area in 1912. This busy, friendly little town is a centre for forestry, farming, oil and gas, and tourism. In a picturesque setting on the banks of the Peace River in the Rocky Mountain foothills, is the beautiful little community of Hudson’s Hope. Situated midway between Chetwynd and Fort St. John, this route is the most scenic in the area, as the highway follows the Peace River. Dawson Creek is the point of origin of the Historic Alaska Highway, which stretches 2,400 km north to Fairbanks in Alaska. This is a friendly city, and the community is well known for the hospitality afforded the constant stream of visitors who stop to access the services of The Mile Zero City before beginning the great trek north. 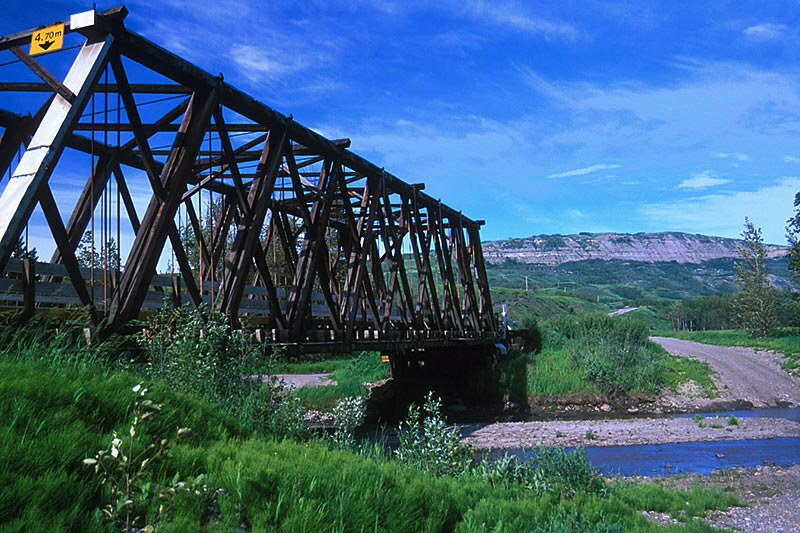 Nestled in a scenic valley south of Fort St. John, the community of Taylor sits snugly on a broad plain beside the Peace River at Mile 36 on the Alaska Highway, where the highway crosses the mighty Peace River. Enjoy a peaceful small town setting in Taylor, worthy of a stop as you travel the Alaska Highway through this scenic valley. The oldest non-native settlement in British Columbia, Fort St. John sits on a plateau north of the Peace River, amongst some of the finest farmland in the province. 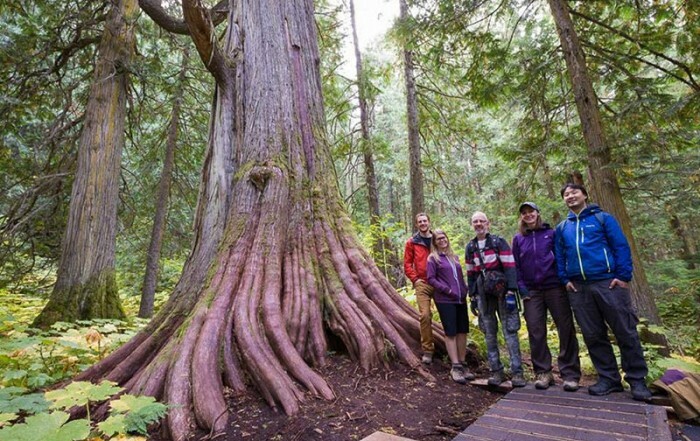 Archaeological discoveries show evidence of Paleo Indian occupation of the area around Charlie Lake dating back 10,500 years, making the region the oldest Native settlement site in British Columbia. Mile 143 on the Alaska Highway brings you to the small roadside hamlet of Pink Mountain in the Rocky Mountain Foothills, northwest of Fort St. John. Pink Mountain glows a vibrant pink colour at a certain time during sunrise. Pink Mountain’s claim to fame is the high population of rare Arctic butterflies found here, attracted by the region’s blossoms. 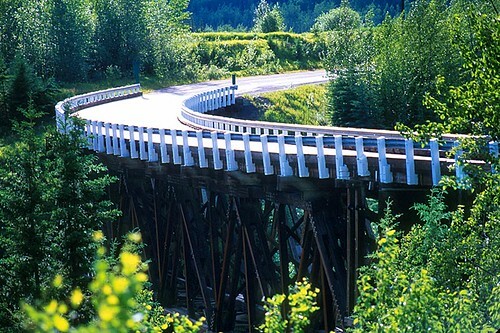 Situated at Mile 300 on the Alaska Highway, Fort Nelson is a major town and stopover destination for travellers leaving British Columbia for the Yukon and Alaska beyond. 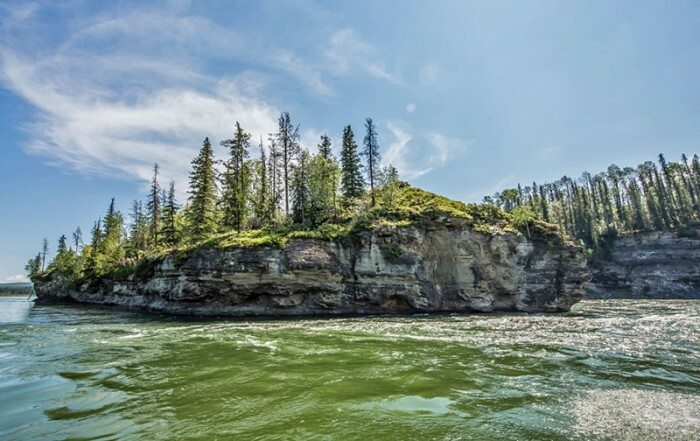 Fort Nelson is located at the junction of the Muskwa, Prophet, and Sikanni Chief Rivers, which meet to create the Fort Nelson River. Toad River, at Mile 422 on the Alaska Highway, is a town with a collection of 4,580 hats – one for every mile between the Yukon and the continental United States, plus a few extras for every head in town. 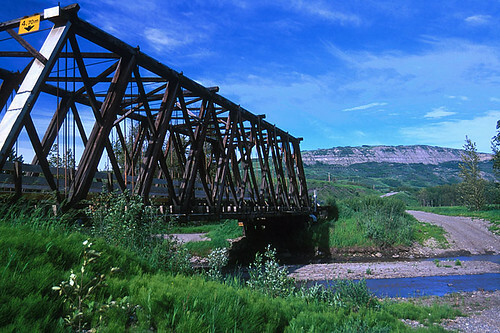 The Contract Creek Bridge at Mile 588 on the Alaska Highway marks the point where the construction crews met when building the section of the highway west from Fort Nelson and east from Whitehorse. Remote Muncho Lake is located within Muncho Lake Provincial Park, west of Toad River and south of Liard River. Muncho Lake displays a perpetually blue hue, the result of copper oxides leached from the bedrock. Flanked by mountains, the Terminal Range is on the west side of Muncho Lake, while the Sentinel Ranges rising sharply above the campgrounds to the east are near the northern limit of the Rockies. The Omineca Peace Region covers the northeast corner of British Columbia, consisting of two distinctly different regons. 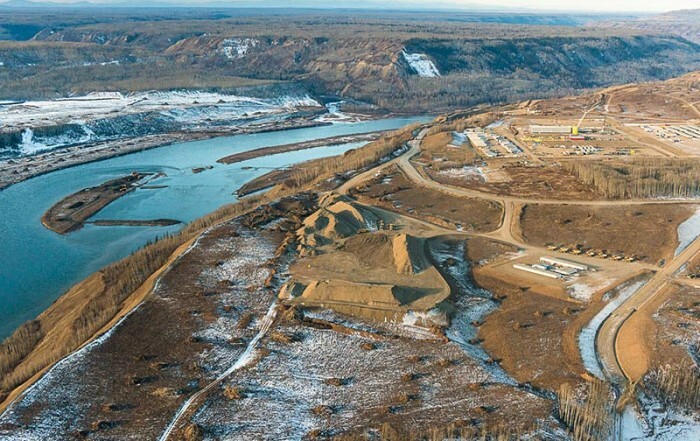 The Omineca portion is more mountainous as it includes the beautiful Omineca Mountain Range, the BC Rocky Mountains, and the Rocky Mountain Trench, while the Peace Region is more open, with rolling rangeland.